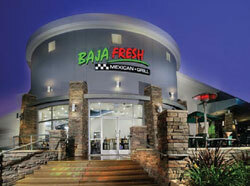 The first Baja Fresh restaurant was launched in California in 1990 as a high quality alternative to fast food chains. Since its inception the company has adhered to its philosophy 'Live Fresh', which believes in the benefits of eating well, being active and making a contribution to the communities it serves. As an extension of this Baja Fresh has a policy of using no microwaves, can openers, freezers, lard or M.S.G (Monosodium Glutamate Toxicity) in the preparation of its dishes. Furthermore Baja Fresh ensures that it uses freshest ingredients to create its traditional fire-grilled Mexican favourites, which includes a range of burritos, tacos, fajitas, salads and soups, as well as an 'all-you-can-eat' salsa bar. As all meals are prepared fresh in front of diners in an exhibition style kitchen meals can easily be adapted to suit individual needs. Lunch and dinner diners can enjoy their meals in a relaxed and stylish atmosphere, created by the company's use of bright, contemporary décor with a clean, crisp design and artistic lighting. In addition to the restaurants dine-in option, customers can also choose to use its take away service. Baja Fresh has won numerous awards and accolades from a variety of US organisations for the quality of its food and restaurants. 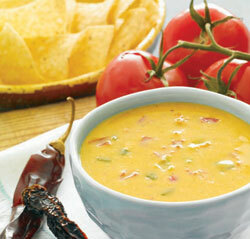 One of its most recent achievements was the result of Restaurants and Institutions Consumers' Choice in Chains study, which named Baja fresh as the Platinum award winning Mexican chain in America. 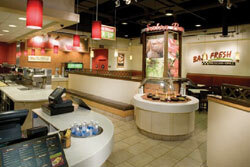 The Chain's study rated eight customer service satisfaction attributes: food, quality, menu variety, value, service, atmosphere, cleanliness, reputation and convenience. As part of the Baja Fresh franchise package franchisees are provided with on-going support, which includes; marketing support, real estate and construction, management training, restaurant 'opening team' support, and on-going operational support. The license agreement is for a 10 year term and is available for all international territories except the GCC states. Although a license right will be valued according to the market the minimum investment requirement is $500,000. Baja Fresh is looking for franchise partners who are willing to work hard, have experience of operating a restaurant and who are prepared to own, open and operate the restaurants themselves.